The Deebot N79 by Ecovacs also boasts more advanced technology such as the V-shaped main brush combined with its brushless motor that delivers a more efficient cleaning of whatever type of floor you have in your house. Are you looking for a reliable robotic vacuum cleaner to keep your floors clean? The search for the right one that matches your personal needs can be quite overwhelming because of the many choices available in the market today. But, we got you covered. Having constantly clean floors all seemed such an impossible task to accomplish before the invention of robotic vacuum cleaners. This remarkable invention is particularly helpful to those who own pets that shed a significant amount of their hair every single day. With smart robotic vacuum cleaners, you can set a preferred cleaning schedule to ensure that you come home to a house with polished and clean floors. 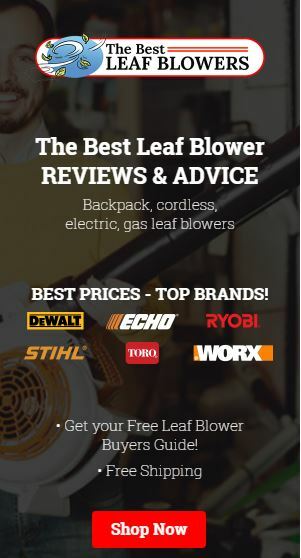 This amazing invention comes in hundreds of makes and models that each offer a different set of features. In order to assist you with your search, we made this detailed vacuum review of one of the best robotic vacuum cleaners you will ever come across—the Ecovacs Deebot N79. This model provides you with a strong suction that works well on both carpets and hard floors. 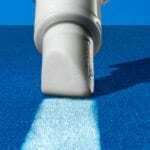 Additionally, it can also be linked to the internet, allowing you to track its cleaning sessions. Below, you will find everything you need to know about Ecovacs Deebot N79 Robotic Vacuum Cleaner. 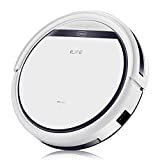 We have compiled all of its notable features as well as its pros and cons to help you decide if this is the perfect robotic vacuum cleaner for you to invest in. Through the use of the Ecovacs App, you can monitor the unit’s cleaning sessions on your Android or Apple phone. 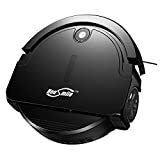 Additionally, you can also keep track of the robotic vacuum cleaner’s battery life and accessory status as well as set your desired cleaning schedule. Error alerts are also sent to the paired smartphone. This unit requires a 2.4 GHz of Wi-Fi connection. The Ecovacs Deebot N79 Robotic Vacuum Cleaner also comes with a remote control. Note that when using the remote control in setting up a cleaning schedule, you would need to reset both the scheduler and clock using the remote control every time the unit is powered off. The Ecovacs Deebot N79 Robotic Vacuum Cleaner boasts a three-tier cleaning mechanism. 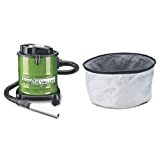 It is equipped with a helix brush roll to sweep away hard-to-clean dirt, dual side brushes to lift the debris, and a direct suction vacuum to finish it all off. 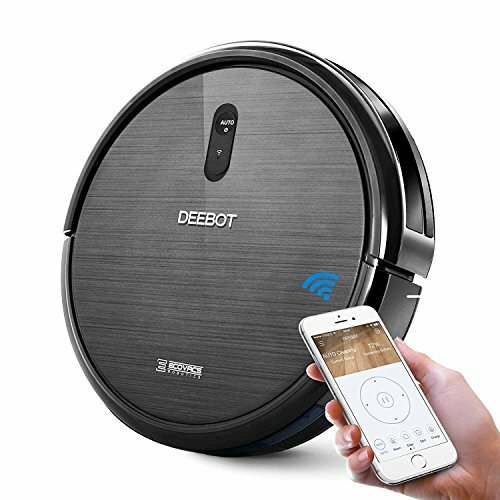 Equipped with a Smart Motion navigation mechanism, you can trust the Ecovacs Deebot N79 Robotic Vacuum Cleaner to navigate your entire house without any problems. It has the most advanced technology that can detect and avoid any dangers that might cause damage to itself. Just like what has been mentioned above, the Ecovacs Deebot N79 Robotic Vacuum Cleaner senses and navigates around objects that block its path. Plus, it also has a drop-sensor protection, which allows it to clean areas around the stairs without falling and damaging itself. The Ecovacs Deebot N79 Robotic Vacuum Cleaner runs on a lithium battery that delivers powerful yet quiet cleaning. It also supports a high-quality air filtration system. This unit can handle more than 100 minutes of uninterrupted cleaning. Depending on your needs, you can set this robotic vacuum cleaner to three different cleaning modes, namely: single-room mode, edge mode, and spot cleaning. This smart robotic vacuum cleaner is equipped with a V-shaped main brush for a more effective carpet cleaning feature. Additionally, it also comes armed with a brushless motor that allows for a higher rotating speed and therefore more suction power. It efficiently collects all kinds of dirt, debris, and hair from different types of hard surfaces. All in all, the Ecovacs Deebot N79 Robotic Vacuum Cleaner would be a great addition to any home. It offers a wide range of features such as the Smartphone app control, three-tier cleaning system, motion navigation, anti-collision, and drop sensor protection. 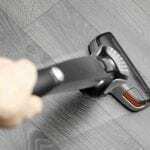 Moreover, it comes equipped with three different modes of cleaning, such as single-room, edge mode, and spot cleaning, which make it possible to clean a larger floor area. 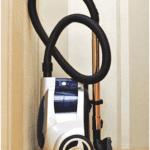 It is also designed with both a V-shaped main brush and a brushless motor for a more effective deep cleaning of carpets and hard floors. Sometimes, we can only see the true value of something when we compare its features to a similar product. In this case, we took the liberty to compare Ecovacs Deebot N79 Robotic Vacuum Cleaner to EC Technology’s Robotic Vacuum Cleaner. 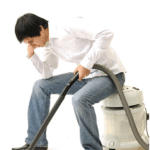 Both of the models are intelligently designed to clean hard floors and carpets on a previously set schedule. And, like most robotic vacuum cleaners, they are equipped with a drop sensor technology to protect them from falling on stairs and other drop-offs around the house. You can rely on the EC Technology Robotic Vacuum Cleaner to clean your entire house for up to seven times a week. It automatically returns to its charging dock to recharge the battery once it detects a low power supply level. Similar to the Ecovacs Deebot N79, this model also has a three-tier cleaning system for a more effective cleaning solution. It also supports different kinds of cleaning modes. However, the difference between these two robotic vacuums is that the Ecovacs Deebot N79 can be connected to a smartphone, allowing the user to monitor and control the unit on his Android or Apple phone. After careful consideration of what each of these robotic vacuum cleaners offers, we concluded that the Ecovacs Deebot N79 Robotic Vacuum Cleaner does a better job of cleaning all kinds of floors. This model is perfect for those who like to monitor everything that is going on in their house. The Ecovacs Deebot N79’s smartphone control application will allow you to do just that and more.